Childhood hair loss comes with enough challenges. Finding the perfect wig shouldn’t be one of them. 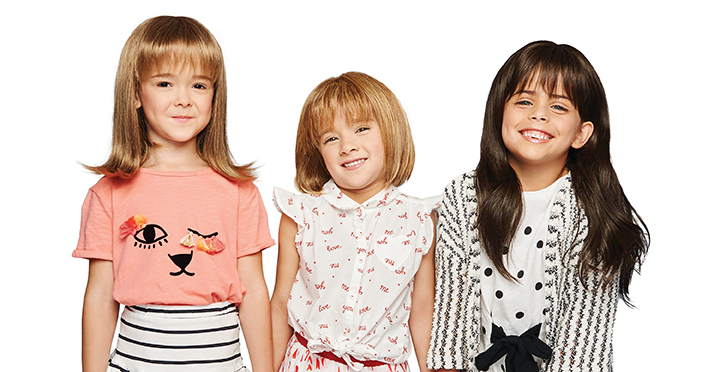 of ultra-petite wigs for kids by the fashion experts at Hairdo. Hair loss affects adults and children. Whether from chemotherapy, alopecia, trichotillomania, or other medical issues – when a young child experiences hair loss, it can be especially concerning. Thinning hair or balding patches can sabotage self-confidence and prevent her from doing the things she loves. This specially designed collection of children’s wigs is brought to you by Hairdo® – the trendsetting brand of wigs, hair extensions, and hair pieces recommended by today’s top pro hairstylists and beauty influencers. Hairdo’s parent company, HairUWear®, is internationally recognized as the global leader in alternative hair for over 50 years. 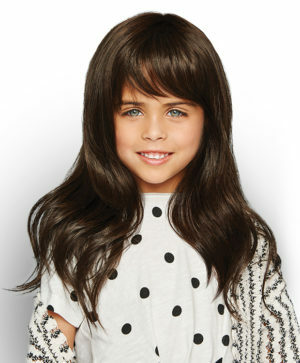 Parents and caregivers can be confident in choosing a KIDZ by Hairdo wig. To find a KIDZ by Hairdo retailer near you, call 800-663-3758.